Every day he is a little better. He is tolerating his feedings a bit better, no throwing up this evening. 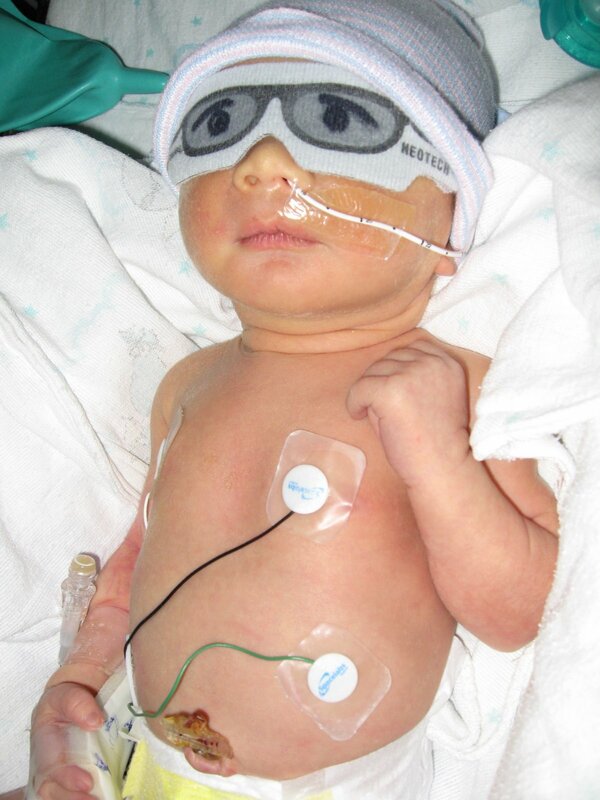 He is cooking under the light to help his bilirubin, hence the eye mask. The neonatologist likes to draw eyes and glasses on them. Pretty cute little guy!